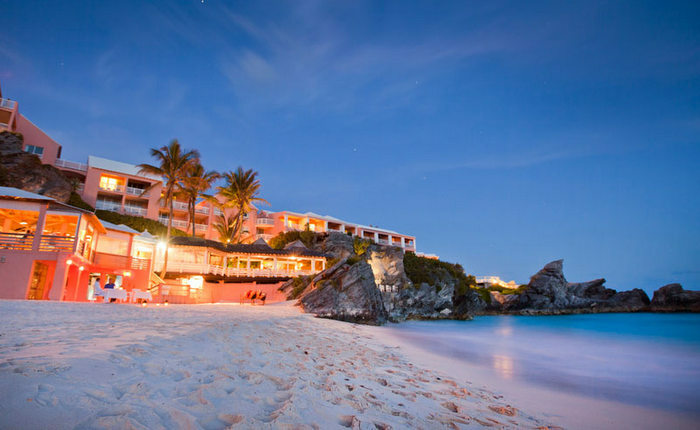 The Bermuda Tourism Authority today congratulated three Bermuda hotels for making Travel + Leisure’s list of World’s Best Hotels, with Rosewood Tucker’s Point, Cambridge Beaches Resort and The Reefs [pictured] sharing the honour on the 2015 list. “This is a tremendous accomplishment for the entire workforces at these three fine properties,” said Bill Hanbury, Chief Executive Officer of the BTA. This is the first time Cambridge Beaches has been named to the list, while Rosewood Tucker’s Point and The Reefs have been honoured previously. The full list is available here on travelandleisure.com, and the print version will publish in the January 2015 edition of Travel + Leisure. Nothing great is created suddenly, any more than a bunch of grapes or a fig. Sir – you can get excited once those accolades equate into bodies in hotel beds – - heck, I will be excited with you when that happens. But until then, let’s be rooted please. This is worthy of accolades. Well done to the properties for their scores and ratings. Have they paid their taxes? People in an organisation from those who clean the rooms or wash dishes, to those who greet our guests, work in the restaurants, to those who manage, provide security – people at every level in these organisations are delivering great service. And I thank each and every one of them for all the efforts they make as those efforts – the work ethic – the high standards that they’re performing at make Bermuda look good. These awards will translate into bookings, and now for those of us who don’t work in the hotel industry (such as myself) is the opportunity for us to do our part to welcome our guests wherever and whenever we come across them – and a smile and good morning may be enough in some situations. As what we do reinforces all the work that is done in the hotels as a continuation of true Bermudian hospitality. And when we do that it gives our guests extra validation that they have come, not only to a great hotel, but to a great place with wonderful people. And I also believe that’s who we really are. See and that’s without casinos . Those must be the only 3 that are still in business!! !